Sometimes if I didn’t have a photo, I wouldn’t remember what happened. I’m a big proponent for documenting anything and everything in our lives, it’s why I take a photo every single day for project 365 so I have a little memory of every day of the year. I never, ever regret taking photos, and to document such a life’s milestone as growing a human is no exception! There are so many neat ways to document your growing belly and I’ve done something a little different for all three of my pregnancies. For my first I had my husband take awfully over-exposed flash photos…but it’s the memories that count! I wore the same shirt every week and I think my hair changed as much as my belly did! By the second pregnancy, my husband thought it was kind of silly to take belly photos and document in such a way and he constantly rolled his eyes when I asked for his help…so I set up my tripod, bought a remote and did my own photos! No shame! 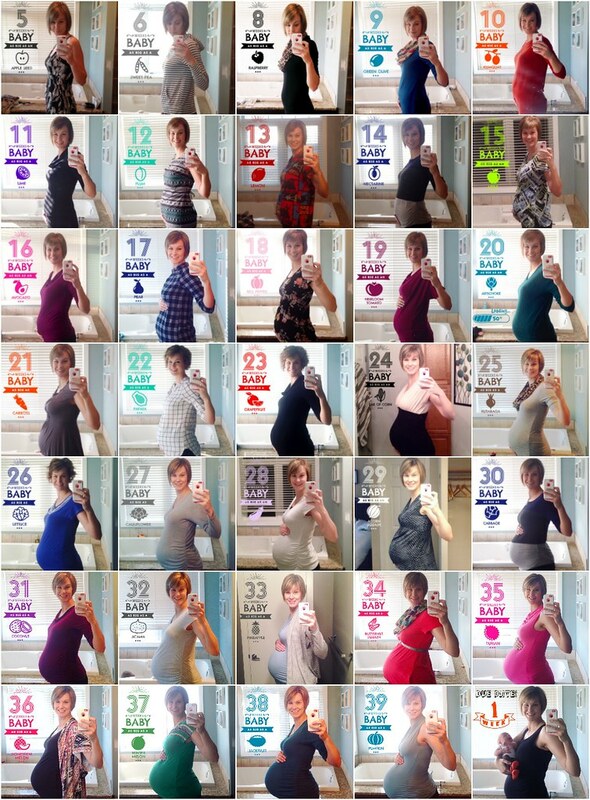 I was inspired by Pinterest to document Ethan’s pregnancy in “numbers”. I did a photo every 4 weeks with this theme and started every stat/fact with a number. I love how For my third and final pregnancy, I wanted to wear a different outfit each time, with the same pose and same fonts used for consistency and I love how it turned out! Ladies, document your pregnancies, you won’t regret it! Even do it just using your iPhone, it’s really easy to take a weekly iPhone photo and there’s so many neat apps to dress up your photos too, I used the Baby Story App for these photos. I hope you’re inspired to document your precious growing belly!